I live on Florida’s Space Coast. 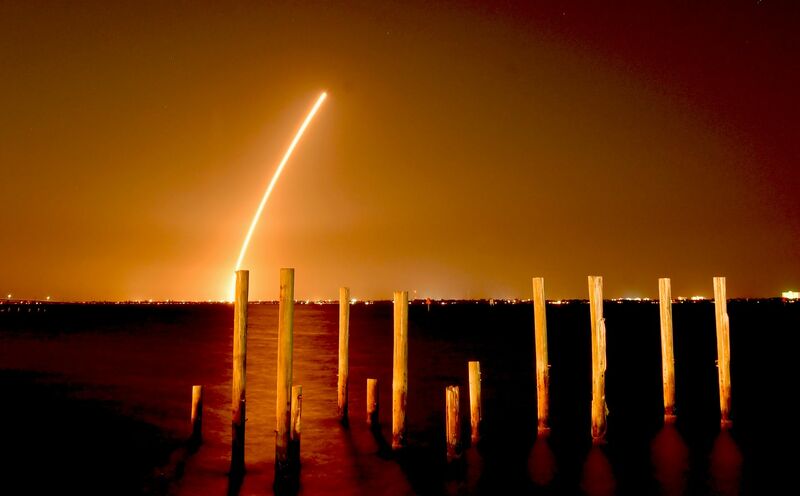 Titusville lies just across an intracoastal waterway from the Kennedy Space Center. Before my husband was stationed at the Coast Guard station at Port Canaveral, I’m not sure I could have told you that rockets, space shuttles, satellites and all the other things launch from here (which is just to say, that if you didn’t know this, I won’t judge). Now I know and the Space Coast has won me over. I’m a Space fan girl. My favorite kind of launch is a night launch, and we had one of those last Friday. I’m going to share my super low quality video of the launch, because I think my daughters’ commentary is priceless! Over the next few months, Boeing and Space X will both test rockets designed to carry US Astronauts to the International Space Station (ISS) with actual humans in them, which will be the first time that commercial companies will have had the capability to send humans to space. It will also be the first time since 2011 that the US has been able to launch people to the ISS without flying on a Russian Soyuz rocket. But, space exploration has benefits for those of us who prefer to keep our feet on planet earth. The internet, cell phones, solar panels and more daily technology have really benefited from the development and testing we get online. Also, I wouldn’t get anywhere without GPS (maybe I should work on my sense of direction). I also think we should all pay a little more attention to space because as comical as you might think the idea of “the Space Force” might be, there are ethical, security and other issues to be thought out as we travel beyond our planet, and I think the more people we have thinking about those things, the better!